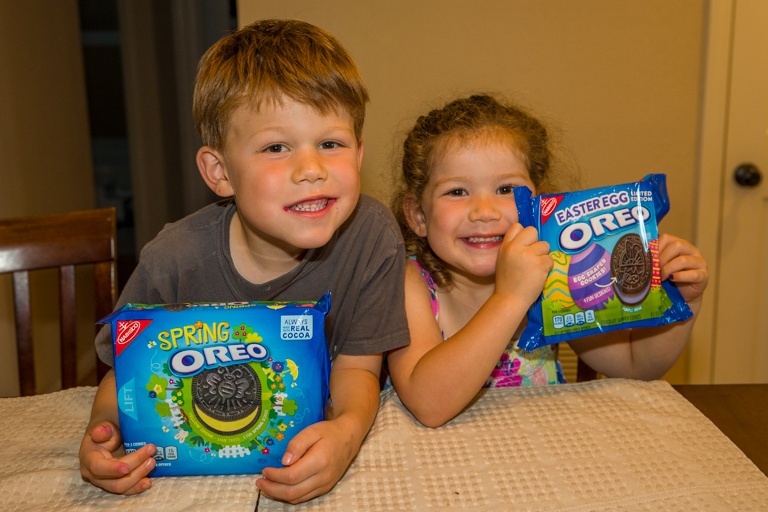 First up, the Spring Oreo. Opening the package, I was surprised by the amount of filling. 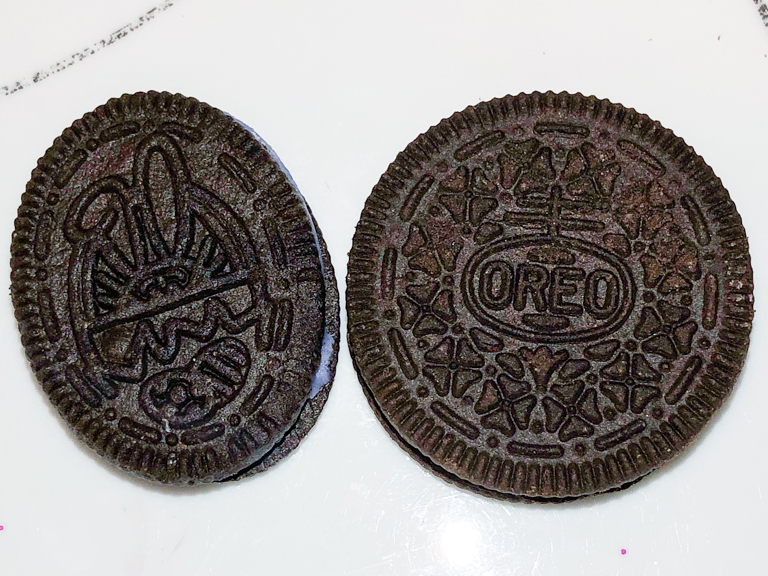 These look like Double Stuf Oreo, much more creme than the regular Oreo. And I don't know if it's just the batch we got, but the creme was a bit more crumbly/dry. When I twisted the cookies apart, it broke the creme in half. 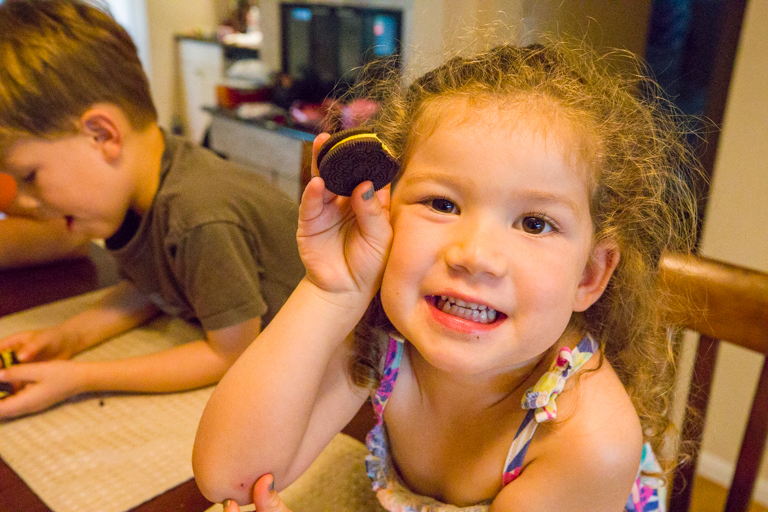 Our cookie designs are a bee, a sun with the words "Shine On", and a flower with the words "Love Me, Love Me Not". Alli said she could take the flower. 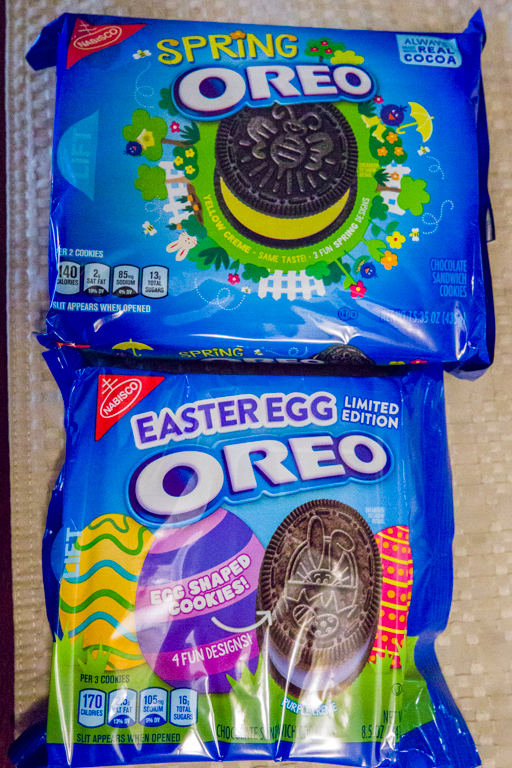 Next were the Easter Egg Oreos. 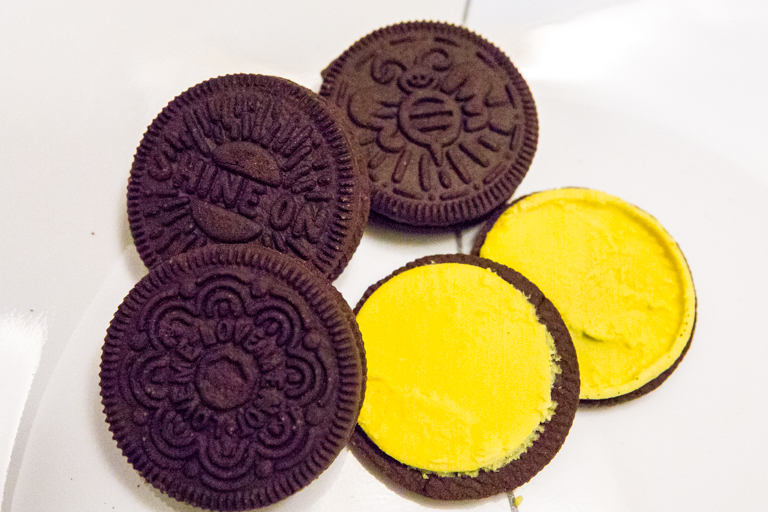 The creme, while purple, was still what we've come to expect from Oreo. As far as designs, there's a bunny hiding eggs, a chick with bunny ears on, and two that have egg decorations. 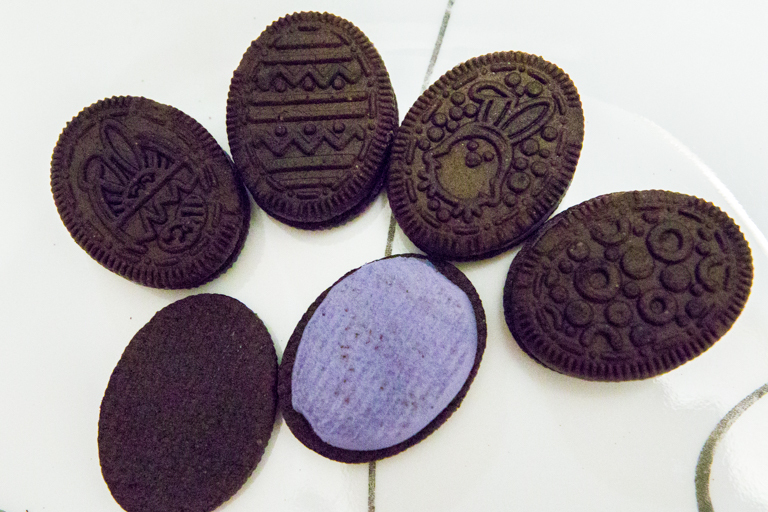 The Easter Egg cookies are a little smaller that the regular Oreo cookie too, which T says makes them much cuter. 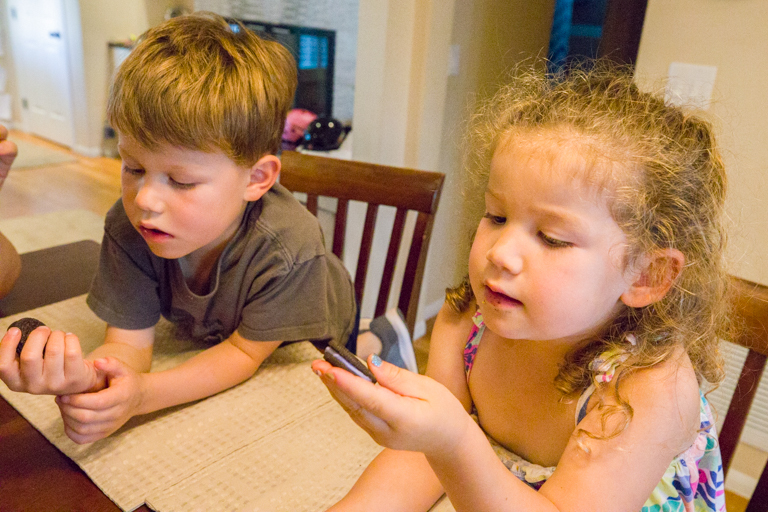 The flavors are the same, but they're still a fun thing to have for spring.